The land for this park was given in part by Henry Boot builders for the development of the Farmlands Lane estate and partly given kindly by the Grimwood-Taylor family. The wood at the eastern end of the park was created in the year 2000 from trees sponsored by many local people to mark the birth of a baby in 2000. A tree belt was also created on the northern side to buffer the park from the housing estate. Paths and benches have been installed and this is a great place to walk dogs. There is a bridleway from Moorway Lane to Dalbury Walk off Oaklands Avenue. 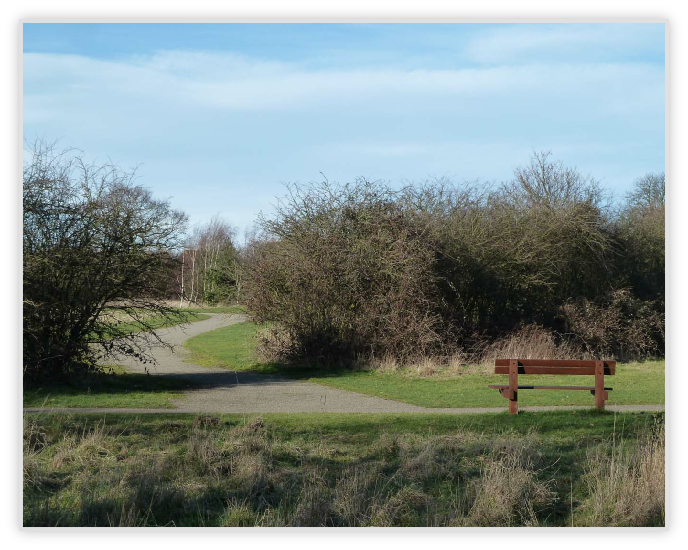 This was created from Heatherton s.106 funds as a walking and cycle route but horses use it from time to time. Also this park connects across the Moorway Lane with the Griffe Field Park, which in turn connects to the King George V Playing Fields and Clemsons Park. A Community Orchard has been created in the western field nearest Moorway Lane. See separate page for more details. 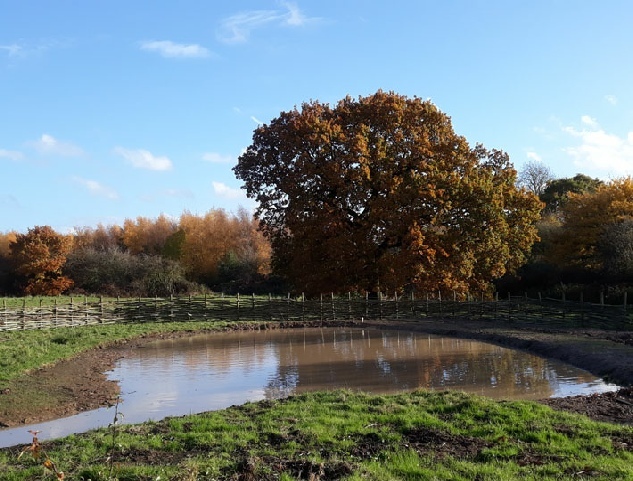 Heatherton s.106 funds enabled the creation of a natural pond with wildlife and visitor facilities and also a cycle route through to Oaklands Ave.